Panoramic fine art nature and landscape photographs. 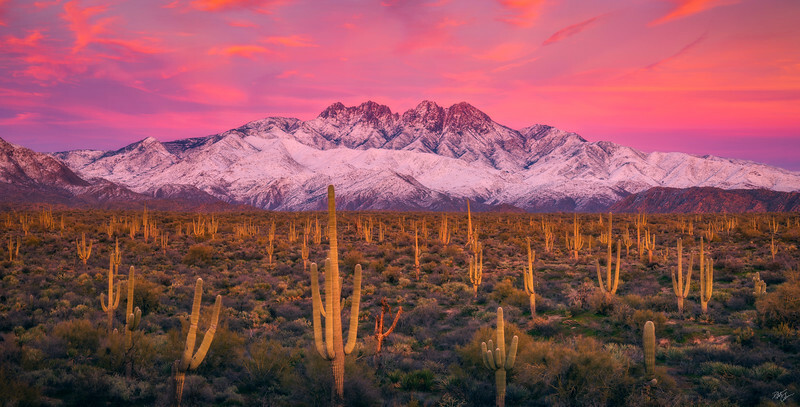 A rare dusting of snow shrouds the Four Peaks northeast of Phoenix over a sea of Saguaro cacti and colorful sunset skies. 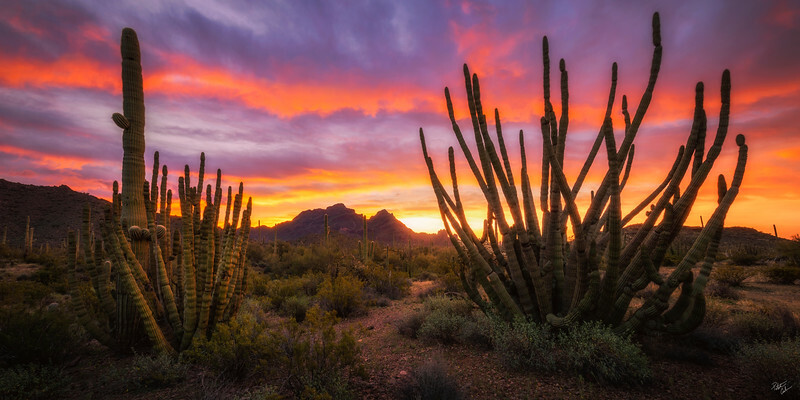 Vibrant sunrise skies blanket the cactus filled landscape of Organ Pipe Cactus National Monument in Southern Arizona. Two giant namesake Organ Pipes anchor this panoramic scene with one almost consuming a Saguaro cactus. 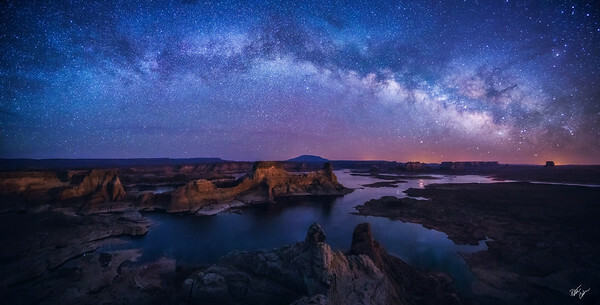 A panoramic view of Lake Powell under the arching milky way as it rises early in the morning. Navajo mountain sits center as the core of the milky way seems to begin just above tower butte near Page. 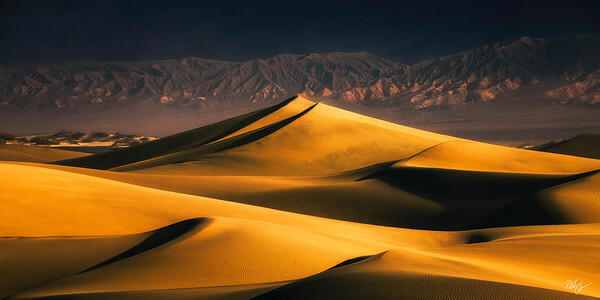 A panoramic view of golden lit sand dunes and distant badlands as the hazy atmosphere of a clearing sandstorm reveal the landscape of Death Valley National Park. An intense lightning storm seen over Swiftcurrent Lake in Glacier National Park. The lightning this evening was violent and constant causing multiple wildfires within the park. The last glimpse of the milky way shines above the mountains and flooded basin before the sun rises just below. Being out on the flooded basin under the stars was rather hypnotizing. As quiet a place as I've ever experienced. 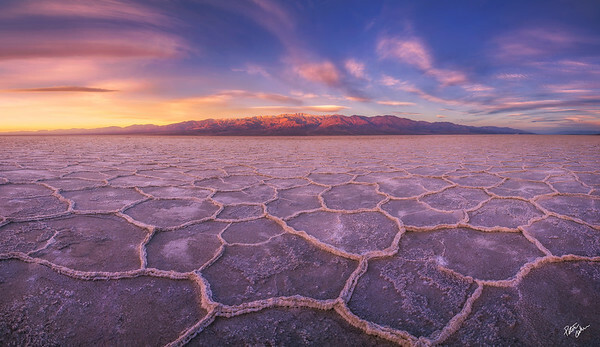 Death Valley, California. 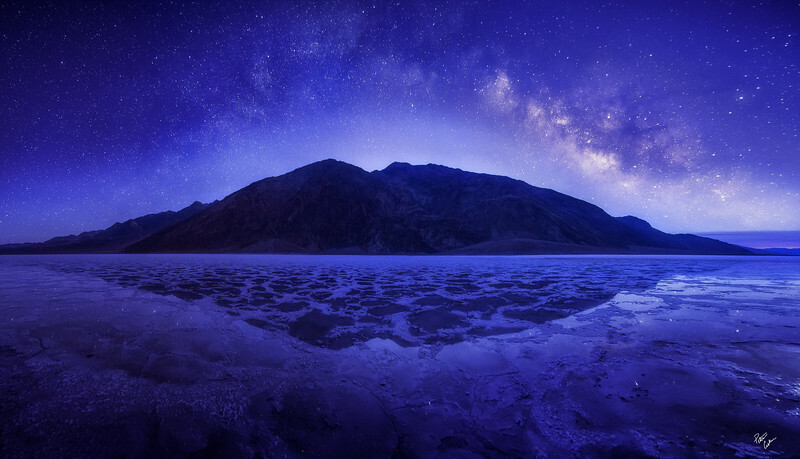 A panoramic view of the milky way reflecting off a flooded badwater basin in Death Valley National Park. 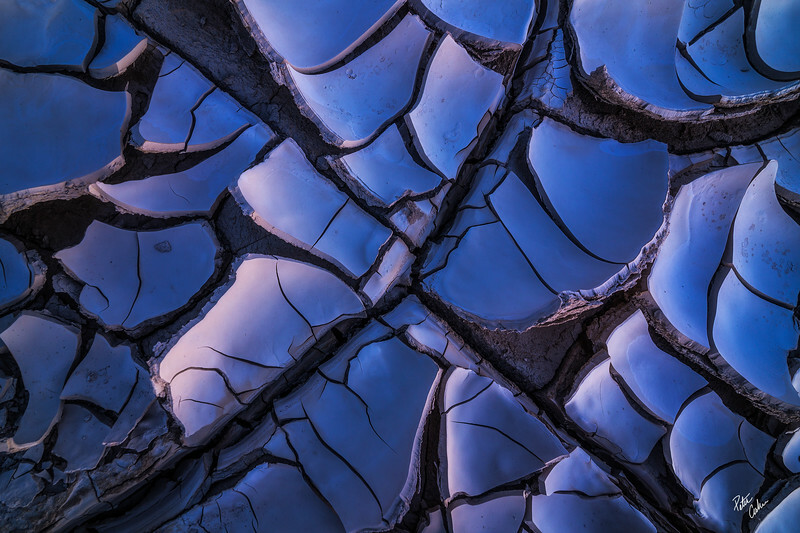 A 180 degree panoramic view of the salt patterns in a dry Badwater Basin as the Panamint Mountains light up in a fiery orange hue at sunrise. Death Valley, California. Pastel sunset skies blanket the buttes and cliffs surrounding Lake Powell from Alstrom Point. Navajo mountain catches beautiful pink light before disappearing into the night. 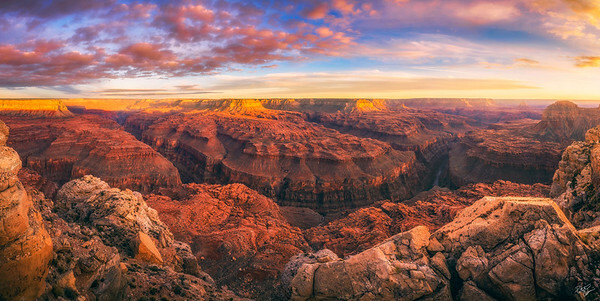 A wider view of my image "Gift of the Colorado" which features a remote overlook of the Colorado River and the Grand Canyon at sunset. This location has been one of my favorites I've visited throughout the canyon with it's sweeping views and remoteness. 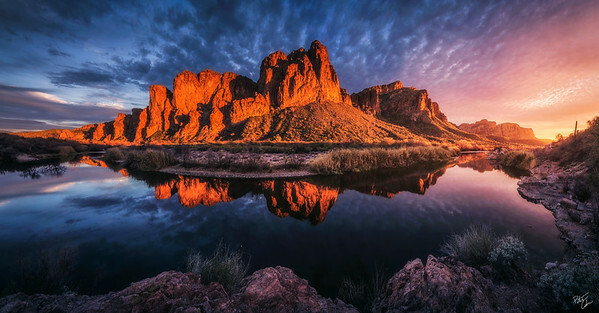 A panoramic view of the bulldog cliffs as they rise above the lower salt river while last light illuminates the cliffs in rich gold and orange hues. 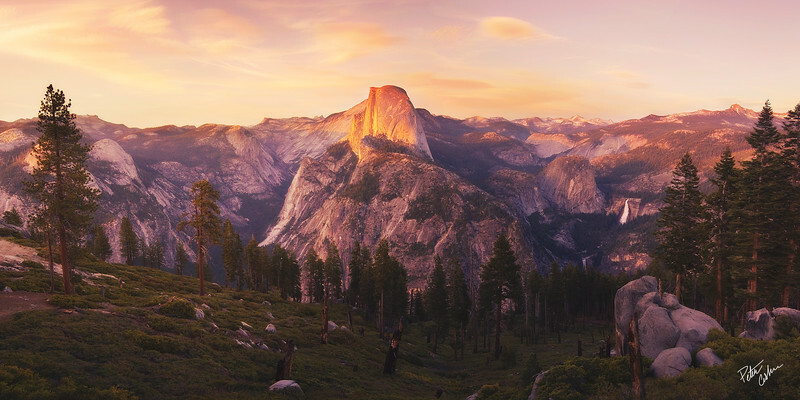 A panoramic view overlooking Yosemite and some of it's famous features during sunset. Half Dome stands out as it's sheer face catches the last golden light.